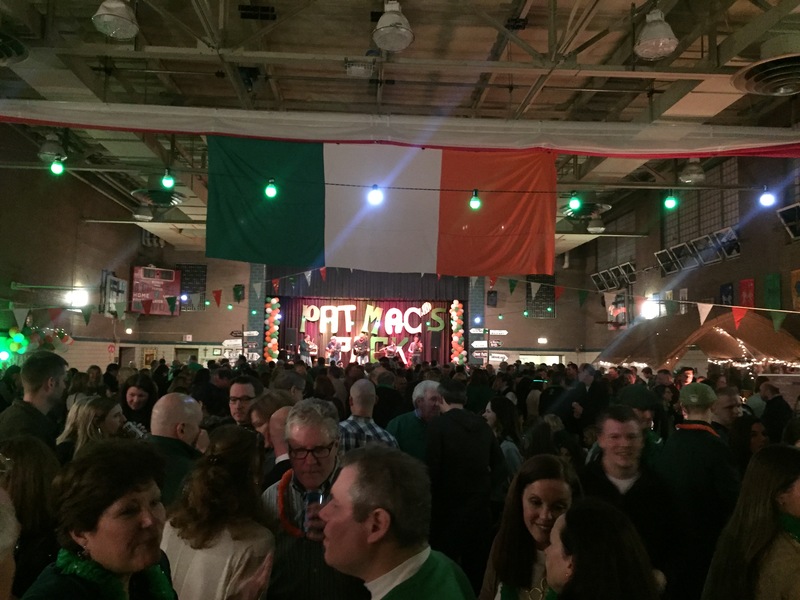 Join us for our annual St. Patrick’s Day party to kick-off the holiday on Friday, March 9. 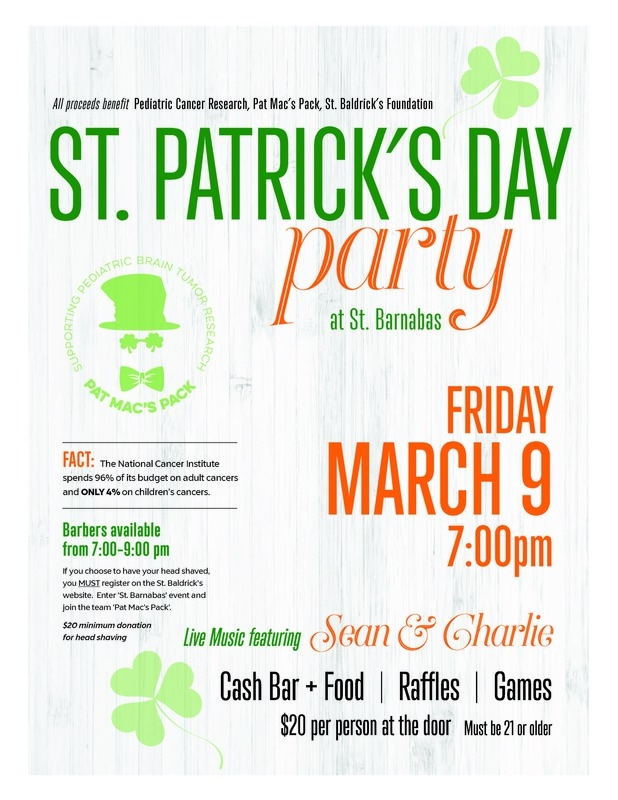 The night will feature live music from Sean & Charlie, cash bar and food options, a live raffle, games, prizes and more! For those interested in participating in our traditional St. Baldrick’s head shaving, barbers will be available between 7-9 p.m. If you choose to have your head shaved, you MUST register on the St. Baldrick’s website. Enter ‘St. Barnabas’ event and join the team ‘Pat Mac’s Pack’. A per-person donation of $20 is required at the door. Must be 21-and-older to attend. All proceeds benefit pediatric cancer research through Pat Mac’s Pack and the St. Baldrick’s Foundation. Interested in some new Pat Mac’s Pack apparel? Visit wcsshirts.com/Barnabas through February 18!